Hyderabad is full of poetry. The air is suffused with its spirit. Monuments echo its melodies. People never tire of mouthing ‘wah-wahs’. And cries of encore never die down. It wouldn’t be an exaggeration to say that shayeri is in the very DNA of Hyderabadis. And why not, when the city’s foundation was laid by a ruler who was also an aesthete and a poet at heart! 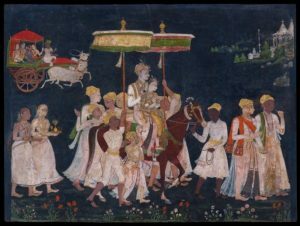 A ruler who, believed to have had a torrid romance with a nautch girl, was consumed with passion and loved all the good things of life. 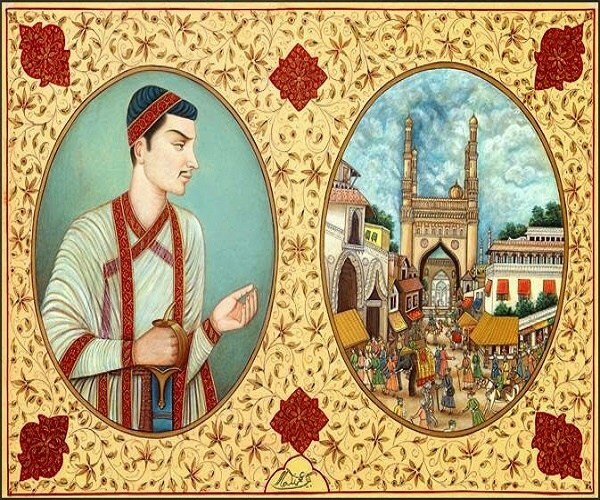 The fifth Qutb Shahi king, Mohammed Quli Qutb Shah, turned poetic while laying the foundation of ‘Farkhunda Buniyad’ (prosperous city in Persian) in 1589. His Munajaat to the Almighty to populate the city pull at the heart-strings. Rakhya jun tu darya main man Ya Sami (Listen to this prayer O Lord! Bless my days and nights with contentment O Lord! If the burgeoning city population is any indication, the Munajaat sure found acceptance by God. Not just this. The founder’s poetic zeal also seems to have been passed on to the posterity. Today, Hyderabad can boast of scores of poets of immense repute. In fact, the literary status enjoyed by Urdu language today is largely due to his contributions. 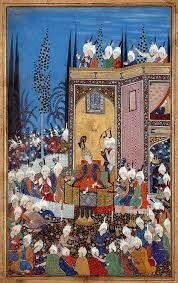 Mohammed Quli ascended the throne in 1580 when he was just 15 years old and ruled for 32 years. Apart from modelling Hyderabad on the lines of the legendary Isfahan in Iran, he gave a thrust to literary activity. Known as ‘Saheb-e-saif-o-qalam’, he was proficient both with the sword and pen. 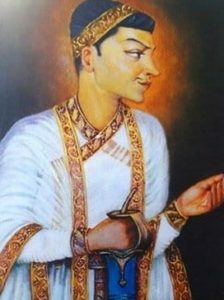 Quli Qutb Shah’s reign is significant for the development of Deccani language and influx of men of letters. Eminent Persian and Telugu poets graced his court. Himself a scholar in Arabic, Persian and Urdu, Mohammed Quli wrote extensively and fostered local traditions and rituals. He enjoys the distinction of being the first ‘Saheb-e-Dewan’ poet of Urdu since he had a collection of nearly 50,000 verses. He also wrote in Telugu language but, unfortunately, his Telugu poetry is not available now, according to renowned Urdu scholar, Syed Mohiuddin Qadri Zore, who is an authority on Deccan and Golconda. His poetry gives an inkling into the bevy of his girlfriends who go by the name of Hyder Mahal, Mushtari, Bilqees, Pyari, Gori, Lala, Nhanni, Saunli, Chabeli, Padmani, Rangili, Sajan. Many of his poems speak glowingly of their beauty and attributes. Of them, he was close to 12, a number he gave weightage to in all aspects. 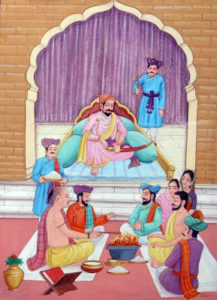 A secular king, Mohammed Quli also wrote on Hindu festivals and rituals. One can find poems eulogising the Basant festival and ‘Aarti’ ceremony. Not just this. Even flowers, fruits and vegetables find mention in his verses. Jewels and ornaments worn by women those days also figure in his shayeri. One can find names of trinkets like kamar patta, thasi, bina, karan phool, tika, bande, kangan, satladi in his verses. For a ruler to take such keen interest in the day-to-day life speaks volumes about Mohammed Quli’s personality. Interestingly, his poetry neither bemoans fate nor finds fault with anyone. The sad and plaintive note, which generally forms the subject matter of ghazal, is missing in his poems. There is no trace of unrequited love either in his verses. Being a king, he did not have to pine for his lady love and, therefore, all his poems pulsate with life, rapture and wine. Mohammed Quli indulged in gratification of soul and poetry was a medium to give vent to his amorous feelings. One can detect shades of sensuousness, ecstasy, glee and contentment in his verses.